Home / Shipping / Aviation/ Who is fooling whom with another draft national maritime and logistics policy? Who is fooling whom with another draft national maritime and logistics policy? Was it pushed as a draft hurriedly to hoodwink the courts on monopoly laws? 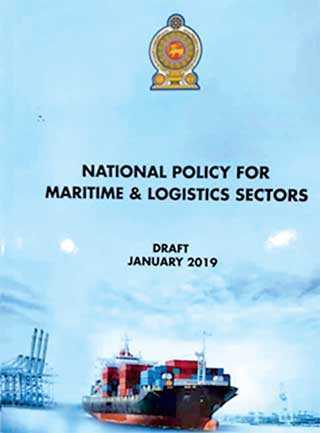 Last week it was reported that yet another draft shipping and logistics policy was handed over to the new Minister Sagala Ratnayaka, it was a policy drafted during former national list Minister Mahinda Samarasinghe who acted against the maritime and logistics ‘Vision 2025’ document prepared by the UNF Government endorsed by the President and the Prime Minister. For the interest of the public, this was not the first policy document and may not be the final one either. In 1997, President Chandrika Kumaratunga was handed a so-called final document by late Minister A.H.M Ashraf and subsequently another committee was appointed to redraft a national policy and yet another presidential committee was appointed by President Mahinda Rajapaksa. None of it materialised as they were all done with vested interest and to protect the interest of few monopolistic companies. The same process has gone into publishing this draft too. In the past, late Minister P.B. Kalugalle, under a closed economy, created Ceylon Shipping Corporation to suit the country’s policy of a closed economy at that time. 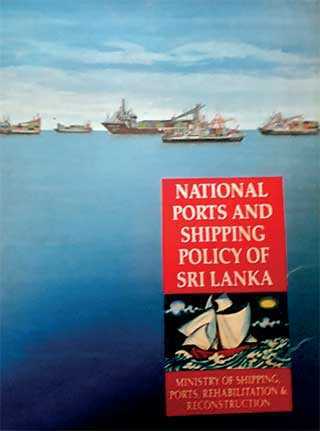 Then, late Minister Lalith Athulathmudali, under President J.R. Jayawardena, transformed Colombo port into a regional transshipment hub for containerised cargo as they wanted to industrialise the country, and President Premadasa took the next step of partially liberalising the shipping sector in 1991 where BOI replaced the GCEC where traders got massive freight reductions afterwards. These were all done because Sri Lankans choose successive governments that adopted a free market policy since 1977.In 1999, for the first time President Kumaratunga opened the port sector for private and international investments. Now, all these massive steps were taken without any policy document on shipping or ports at that time but on government policy to make Sri Lanka a liberal trading hub. Indeed, it is good to have a set of macro-level policies to show our commitment to the world that Sri Lanka is for modernisation and transformation as it thrives to be the most liberal economy is South Asia and a hub in the Indian Ocean. A national policy should not be a wish list that could be written by an undergraduate for a class room assignment. This draft policy is made of such ideas of protectionism and including investment criteria that is not even realistic and describes punishable offences, etc. The idea behind this seems to be to protect large-scale local private businesses with vested interest. Clearly, the latest draft is made from the interest of protectionist and monopolistic interest and to satisfy bosses who pay salaries to some of the committee members. Monopolies are craftily listed as ‘individuals’, not as companies or businesses. Right now, two companies control nearly 70% of the agency business and this is the serious problem the whole country is facing. It is a known secret that these two organisations are using money and power to lobby against all reforms proposed by the Government to make Sri Lanka a liberal maritime economy. Looking at the list, this report has been compiled by a very large number of people directly and indirectly attached to companies with personal business interest and has very low participation of independent industry persons including a cross-section of universities and other institutional frameworks and think tanks involved in policy development. Simply, the Institute of Policy Studies which runs under the Ministry of Finance is even not listed among stakeholders. Few weeks back, it was reported that the direct export sector has been completely left out of their views. Draft policy to a minister, what is the ulterior motive? As a practice, commission reports, policy documents, advisory reports are given to a Cabinet Minister as the final recommendations or findings by an appointed committee. This national policy was hurriedly given to the Minister as a draft after sitting for well over 12 months which saw the exporters and others protesting to its content and the way it was done by excluding them. 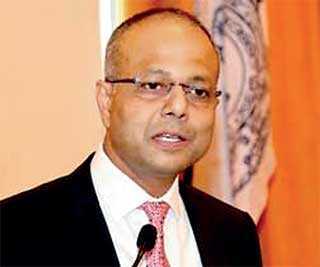 It is an insult to say the least to the new Minister Sagala Ratnayaka. In 1997, late Minister Ashraf handed over the final document to President Kumaratunga. However, Minister Sagala received a draft document as a media publicity effort. What can he do with this? A minister can provide a Cabinet subcommittee draft report to the Cabinet, but a draft of this nature cannot be presented and should not be presented to Cabinet as it will be an incomplete document and a waste of time to the Cabinet of Ministers. Industry sources say that this was done as an eyewash attempt to mislead the judges and courts where opposition MP Vasudeva Nanayakkara has filed a case against monopolistic behaviour of a few agents who are now controlling nearly 70% of the market and derailing the liberalisation process of the Government. The petition to the courts was to direct the Minister, Secretary and the director merchant shipping to strengthen and establish new laws and regulations to stop monopolies being set up by companies and individuals which harm the national interest and the public. But conveniently the word “persons” has been put in the policy excluding companies and businesses. It is understood that already a copy of this draft policy has been attached to the court documents to mislead the judiciary to say that Government has adapted a policy and that there is no need of strengthening monopoly laws etc. The ulterior motive of this document is to stop liberalisation of the shipping and logistics sector as well. 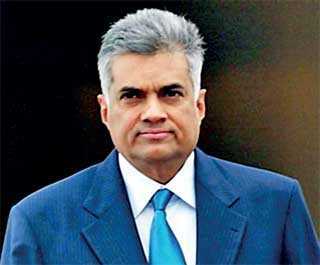 Prime Minister Ranil Wickremesinghe has clearly spelt out in Parliament that shipping and logistics will be opened to make Sri Lanka a major Indian Ocean hub. The Finance Minister has already issued the policy statement in the Budget 2019 which was passed in Parliament, but this document of national policy does not even refer to such policy and has deliberately given a slap to the Government and the Finance Minister’s policy declarations. Some analysts say that this document is all about giving protection to commission agents in shipping and to showcase that agents as the kingpins of a maritime nation. It is a document to secure moneymaking for a few at the cost of the country and its people. 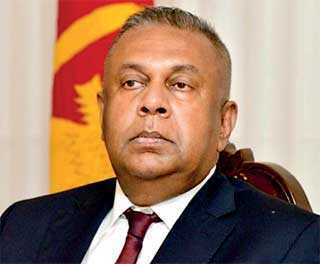 President Sirisena has been brainwashed by former national list Minister Mahinda Samarasinghe who was working with the agents to stop the Government policy and to remove the nanny state concept and making Sri Lanka a true international trading location in the Indian Ocean using its locational advantages. No man with common sense will agree that monopolies, price-fixing and stopping majority stake equity for business owners will convert this country into a maritime hub. Few agents with monopolistic behaviour have welcomed this before even a final document is seen. We wonder who is fooling whom under the pretext of a national policy to get protectionist and business interest secured. The Shipping Minister and his advisors and the Government should be extremely careful of the whole exercise as it will give wrong signals to the world and make investors shy away out of this country and our regional allies too will look at this as a hostile document to build partnerships.